Focus on the inside out this season and gift your loved ones things that will bring them joy and relaxing moments. 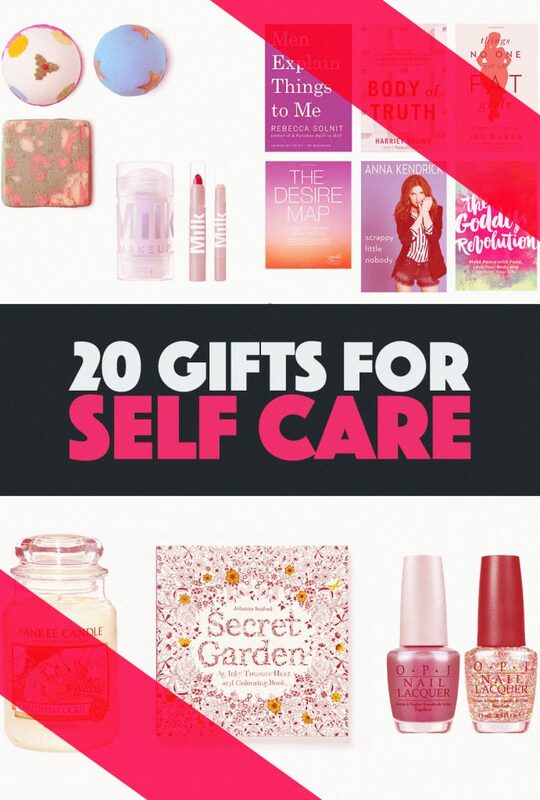 Scour this list of 20 gifts for self care for inspiration. With Christmas upon us, I bet you’re thinking about gifts for friends and family. I know I am. I’m a firm advocate for avoiding waste so I always aim to buy gifts that I know the receiver will use and enjoy. In our society that is obsessed with thinness, dieting, and female beauty, wish lists and gift suggestions are often centered around these topics – books on dieting, exercise equipment, gym memberships, products to enhance or alter your beauty… the list goes on. This year, don’t let your money (or space on your wish list) go to an industry that feeds off of female self consciousness. Instead, focus on self love and care. What can you ask for, or give to someone else, that will allow them a moment of calm, creativity, self care and love? 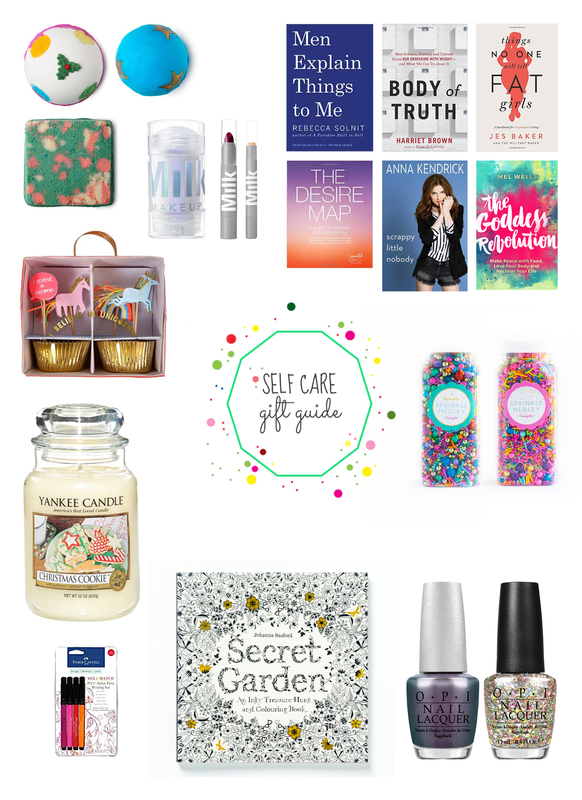 I’ve put together this list of gift suggestions for self love. Add them to your own wish list, or gift them to someone you know could use a little extra tender love and care. A steaming bath filled with delicious smelling bath goodies is the picture of relaxation and self care. Lush never disappoint with their wide selection of soaps and bubbles that both smell wonderful and are a colourful treat to the eye too! I came across the MILK Makeup brand a couple of months ago and was intrigued. 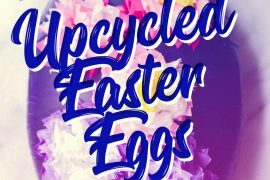 They’re an ethical brand (their products are vegan) and they have some really cool products (like holographic highlighters). Playing around with makeup is creativity. I love, love, love reading and am always on the search for a good book. 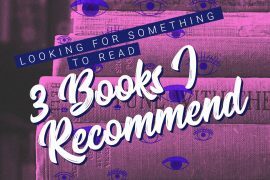 I love a good crime novel, but also gladly plough through books on feminism, body positivity, and self care. I recently read The Godess Revolution by Mel Wells and Washed Away: From Darkness to Light by Nikki DuBose. On my “to read”-list now are Men Explain Things to Me, Body of Truth, Things No One Will Tell Fat Girls, The Desire Map, and Scrappy Little Nobody. Color can do so much for our moods. Just looking at these colourful sprinkle medleys puts a smile on my face. Sweetapolita have so many cute and colourful combinations that are the perfect encouragement and motivation to get creative in the kitchen. I consider painting my nails a form of mindfulness. It takes time and forces you to focus on the task at hand (it’s not like you can do much else while you’re in the midst of applying coats of color). It also taps into your creativity. OPI is one of my favourite brands, pictured here are the colors Charcoal and Chasing Rainbows. I got a couple of these for Christmas last year and used them during my time off over the Holidays last year and have continued to use them throughout the year on rainy days. It’s a nice way to get your mind focused on a specific task, and tap into your creativity. The Secret Garden colouring book is a good start. If you’re getting a friend or loved one a mindfulness colouring book, then make sure they’ve got some nice pens to fill the pages with. I love my case full of pens in all the colors of the rainbow that put no limit on how colourful and creative I can get. These Pitt Artist Pens are a nice little starter kit. I love scented candles and have them burning throughout the fall and winter. 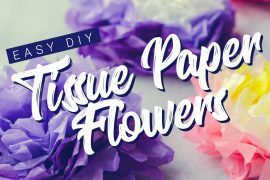 Not only do they create a cosy atmosphere, the scent and light is also very calming and soothing. It’s a welcome addition to time spent reading or journaling. When it comes to scented candles, the more expensive brands really are better. They last longer, are more fragrant, and burn more evenly. I love Yankee Candle and Wood Wick. Christmas Cookie from Yankee Candle is on my wish list. Baking is definitely a form of self care. I think anything that allows you to be creative and focus on a playful task is good for your soul. Give your friend or loved one some cute tools like these unicorn cupcake forms to encourage them to whip up some magic in the kitchen.